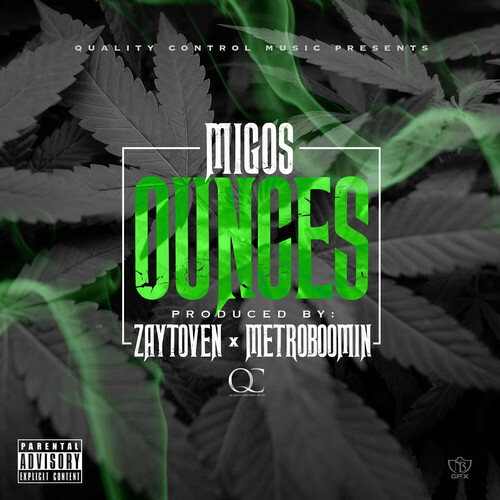 Migos releases a new bouncy song titled, “Ounces,” in support of their current #MigosMonday promotional leaks. Take a listen to the rapper’s do their thing over a down South inspired instrumental courtesy of Zaytoven and Metro Boomin’. The Atlanta natives laces the track with their familiar drug inspired lines and boast about their flashy lifestyles. YRN 2 is set to drop in January. This entry was posted in Audio and tagged atlanta, hip hop, Metro Boomin, migos, Migos Monday, ounces, rap, Zaytoven. Bookmark the permalink.